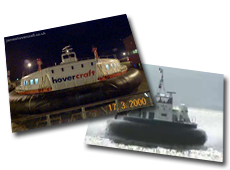 This site is dedicated to hovercraft of past and present, the history of the hovercraft, and a bit about how hovercraft work and what their various parts do. 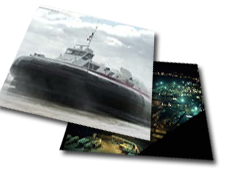 As you browse around, use the navigation bar above, or take the Hovercraft Tour (above) for a wander through the ages of hovercraft, you can click on small images to bring up a proper, zoomed-in version. Wherever a reference is used within the site the source is cited, e.g., [Rowson, 2006] and its corresponding publication details are in the Bibliography. 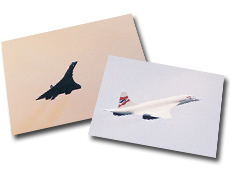 This site is kept alive by the kind contributions of visitors, and as such I am always looking for anyone with new content to come forward. 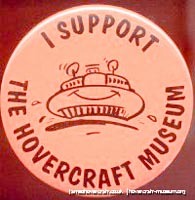 If you have anything you think could be worthwhile adding to the site, that is any experiences you've had of the hovercraft, or any photos or videos you'd like to "donate", or your model hovercraft construction stories/photos, I would be very grateful if you could get in touch with me through the Contact Form. 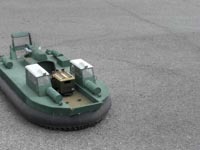 To buy a hovercraft, or make your company known to the Internet, Visit the "Buy a Hovercraft " page for a list of companies and featured companies. 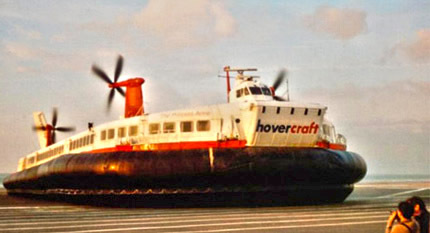 A 'Free-Ads' section of the site for anyone wanting to sell or buy a hovercraft can be found in Private Advertisements. 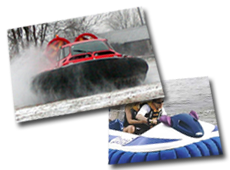 Companies or individuals selling or wanting to buy hovercraft related products (such as vouchers for trial rides, activity days, etc.) 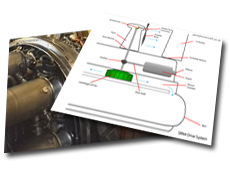 visit the Hover Related Products page. 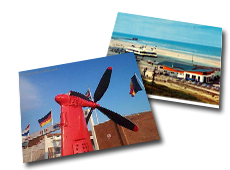 Warwick and the team at the Hovercraft Museum Trust, in Gosport, Hampshire (UK) have very kindly allowed me to host some of their incredible collection, with rare if not single copies of photographs far back into hovercraft history. Over 2,000 images in this amazing selection of galleries!! 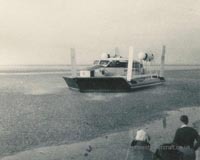 Paul Brett, a hovercraft engineer with Hovertravel and then in Canada with the arctic Northern Transportation Company Ltd., and then the Canadian Coastguard has kindly sent me some incredible photographs of his time working with the SRN6s and AP1-88s so close to the arctic circle. 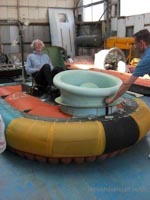 This is the world's first Human Powered hovercraft, a project by University College London. 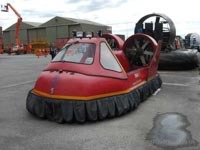 Here seen at the Hovercraft Museum's August 2011 open day.